First, may I say welcome to new followers and subscribers. One winner was selected for the B&W Hop, I am just waiting to hear from her. Another winner will be notified on Monday of some more batiks that I am giving away. If you haven’t had a chance to enter, there is still time on this one, from my blog on Tuesday. Now, onto my work this week. I did some work on some things you won’t see until March….or even later. Those are for a QAL with Partners in Design. But, I did finish this lovely little block. I thought it would be fun to do Jen’s Color Challenge this year – how hard can getting one block in be? Well sometimes, it just is the last thing on the list – that happened this month. I used some of my leftover Sweet Tweet collection from Island Batik. You can see more of this collection it in my blog in September, that was a part of the Ambassador Blog hop. 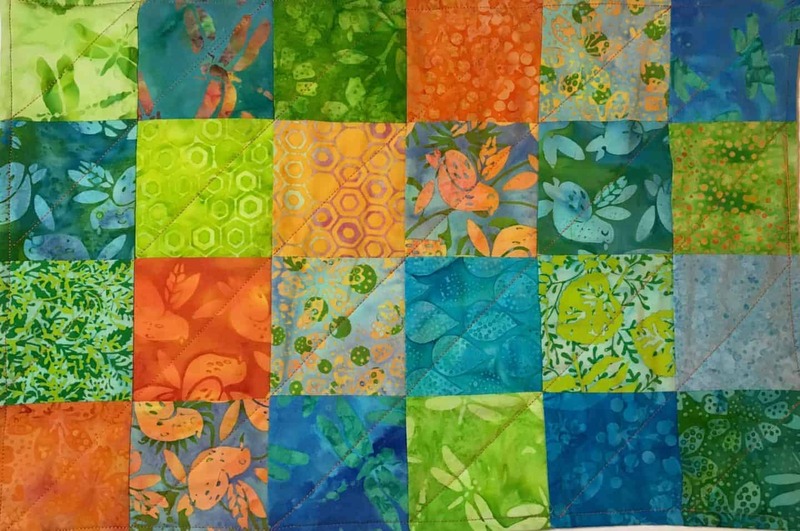 I think batiks may be what I use for these blocks, but we’ll see how the year develops. Unrelated to this finish, is another block I did. 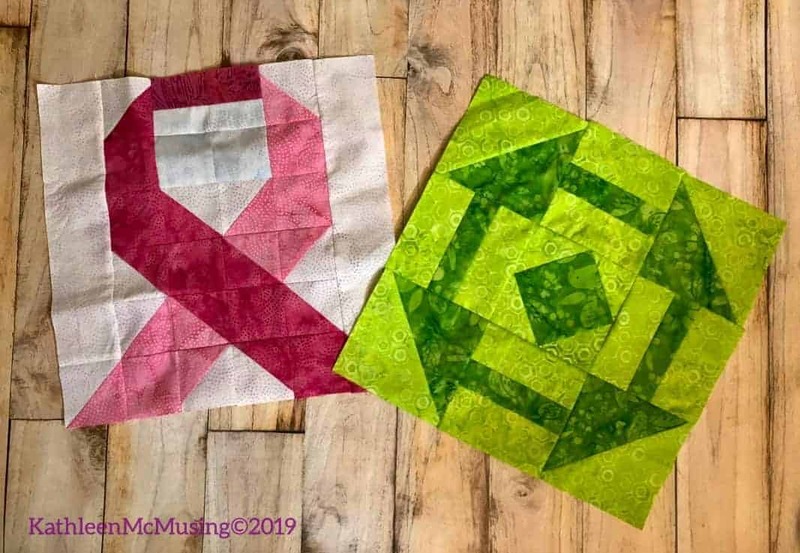 A friend is being treated for breast cancer and she asked for blocks to make a quilt. This is my contribution and is off in the mail to her. I hope it is some comfort and that her journey is an easy one. PSA: Get your mammograms. Her cancer was detected early, she wanted to remind us all to keep getting our screenings! Previous Post Getaway to Dragonfly Island! Can I say I just love the blocks, the bright colors. 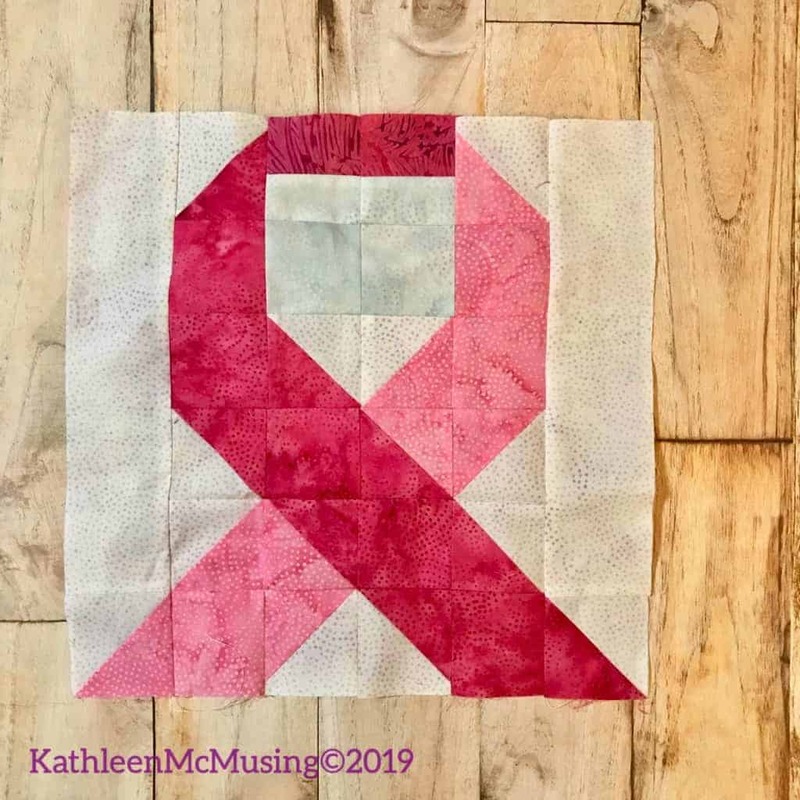 I need to make a cancer ribbon….. I will be thinking of your friend. I definitely can relate to some things just finding themselves getting finished at the end of a month, even with the best of intentions. Thank you. I believe all our support for friends in treatment really does make a difference. Someday, things will go more according to plan – and maybe its being more realistic about what I really can get done. 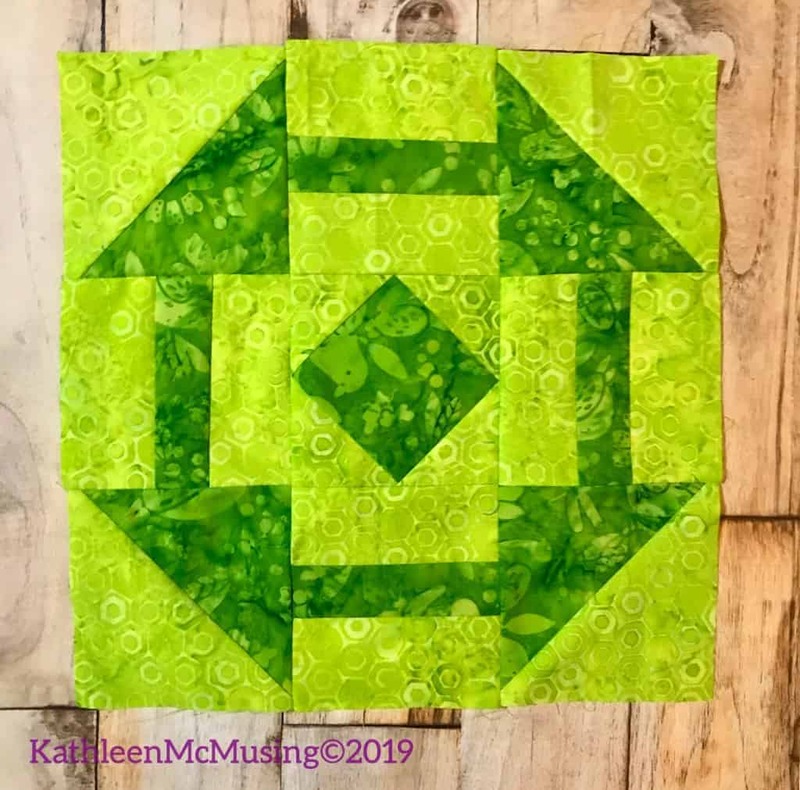 Bright green block! That certainly answers the color challenge. Thanks for linking up to my special St. Patrick’s Day link up at Wednesday Wait Loss.